Blood Splatter Pendant from Bear Mountain Studios. Approximately 2.25" tall from splatter to loop and 1x1" diameter at the bottom. 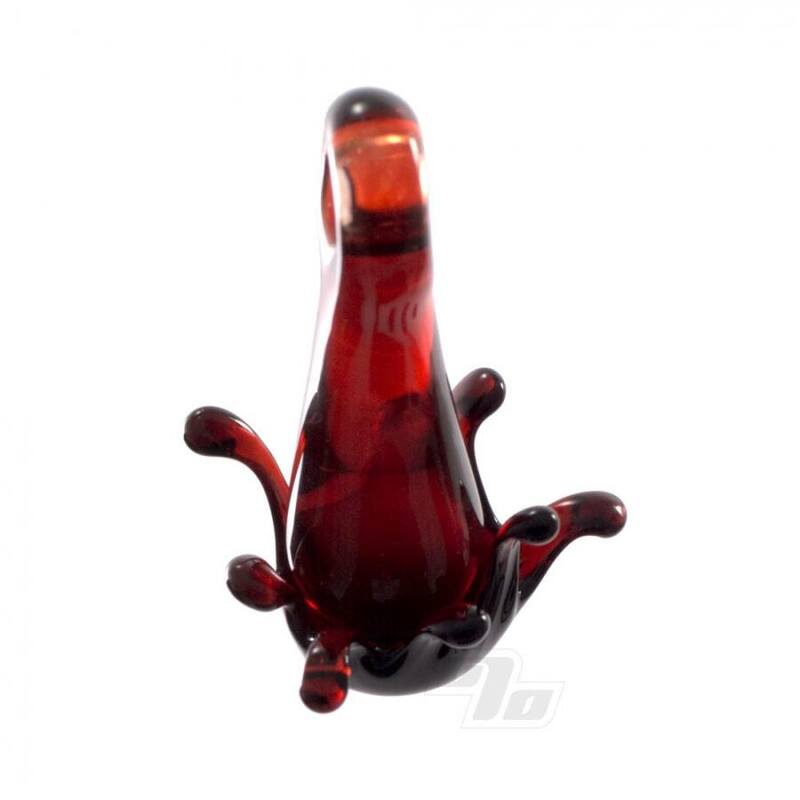 Super cool deep red that might not be suitable as a gift for the squeamish. Definitely Follow Bear Mountain Studios on Instagram to see all the work you can seek out in your local shop:: @bearmountainstudios. It really must be appreciated in person.